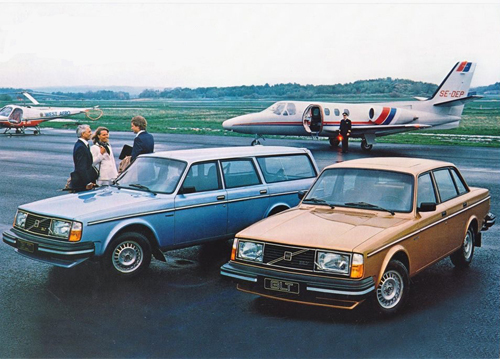 1980 – Volvo 244 GLT & 245 GLT at Göteborg City Airport or Säve Flygplats in Göteborg. 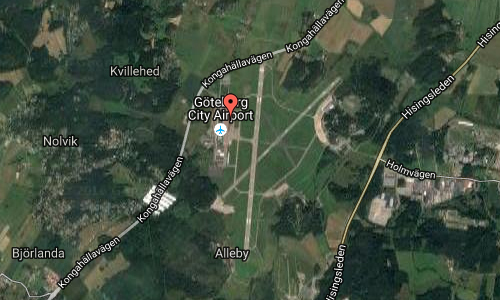 Göteborg City Airport, formerly (and still informally) known as Säve Flygplats, is an airport located 5 NM (9.3 km; 5.8 mi) north-west from the centre of Göteborg on the island of Hisingen, Bohuslän, Sweden. 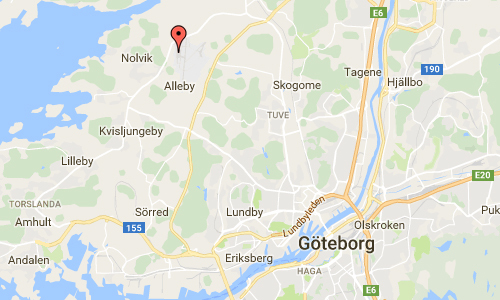 It is located within the borders of Göteborg Municipality, hence its name. It was Göteborg’s second international airport, with international scheduled flights from 2001 to 2015. In addition to commercial airlines, the airport was also used by a number of rescue services, including the Swedish Coast Guard. Owing to damage to the airport’s runway by heavy aircraft and the high cost of repairs, the airport was closed to airline traffic indefinitely on 18 January 2015, but remains open to light aircraft. Although it was primarily a low-cost airline airport, it is actually located closer to Göteborg city centre than the main Göteborg Landvetter Airport, even if the driving time is around the same. It was one of the few city airports to receive Ryanair flights. Göteborg City Airport was able to handle aircraft up to the size of a Boeing 767, an Airbus A320, or similar jets. 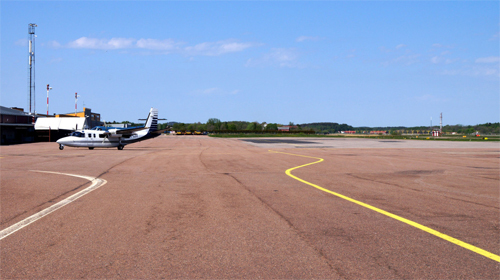 The airport still accommodates general aviation activities, including two flying clubs, Aeroklubben i Göteborg and Chalmers flygklubb. Construction of the airport began in 1940, as a military airbase for F 9 Säve, a wing of the Swedish Air Force. The airbase was closed down in 1969. 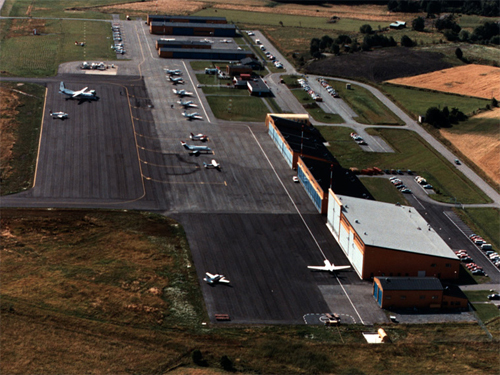 The old civil airport at Torslanda (about 10 km south of Säve) was closed down in 1977, and scheduled flights moved to Landvetter Airport; general aviation activities were moved to Säve. In 1984 the runway was improved and extended, to allow larger business jets to operate. Initial plans were for the airport to remain closed to heavy aircraft until at least the end of January 2015. However on 13 January 2015, the decision was published to close the airport permanently to passenger traffic, owing to the high cost of fixing the runway/taxiway problem. Sparrow Aviation, using lighter aircraft, continued to use City Airport until 18 January 2015. The airport was kept open until the end of 2015 in the hope of attracting a possible buyer who could agree to Swedavia’s conditions and ensure a long-term plan. In May 2016 it was announced that a motorsport circuit would be built at the Säve airport, intended to host Scandinavian Touring Car Championship (STCC) races. More information at www.serneke.se and en.wikipedia.org. I don´t agree about the pictures of the 122S and the 264TE should be taken at Säve airport. They are from Torslanda Airport. 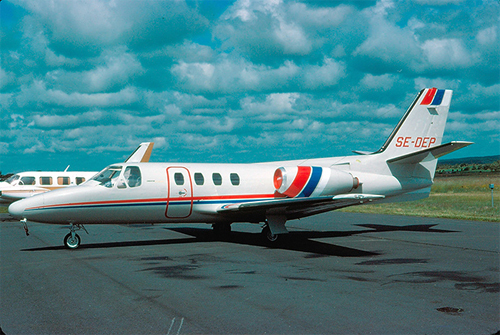 The picture of the 264TE also shows a Falcon 10 aircraft SE-DDF that at that time was owned by Volvo. I can´t say for sure but I think it is perhaps my father next to the aircraft in his pilot uniform. That picture is new for me and I have not seen it before. The 244GLT is from Säve and my father is the pilot next to the Cessna Citation SE-DEV. 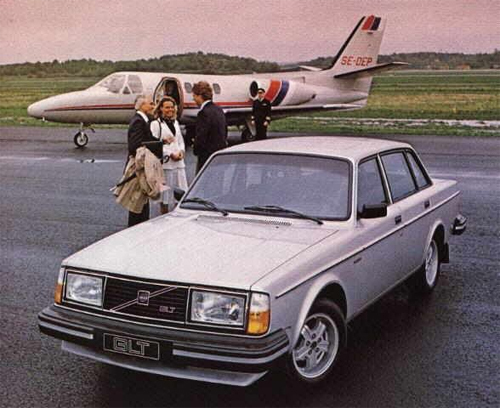 The picture is for the broschure of 1980´s Volvo. Thank you for your feedback. I’ll update the pages with the corrections! Great to hear that you found your father as the pilot of this plane!